Purvi Patel investigated cloud-based energy dashboard systems for AT&T. AT&T enlisted the help of Purvi Patel to analyze the potential of installing cloud-based energy dashboard systems at 600 AT&T locations. After creating a database of discrete asset and system information from individual sites, Patel wrote a strategic plan and site-level processes for installing the dashboards. The systems, which would be accessible both onsite and remotely, have the potential to optimize facilities operation and transparency by providing real-time, accessible energy-use feedback. Patel estimates that this could save up to 5 percent of electricity costs and consumption at dashboard-equipped facilities. 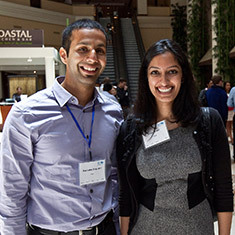 Purvi Patel, a student at Columbia University, was hired as a 2012 EDF Climate Corps fellow at AT&T.